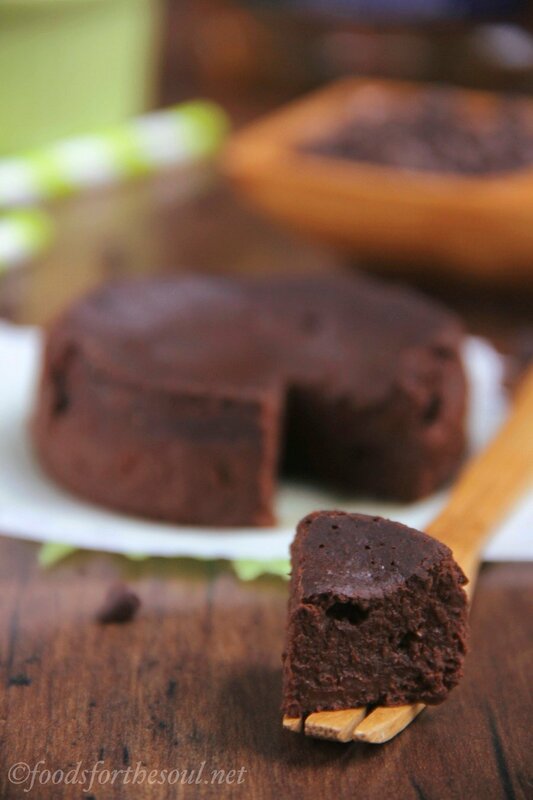 An easy recipe for a decadent clean-eating brownie made with just 6 ingredients & in under 10 minutes! 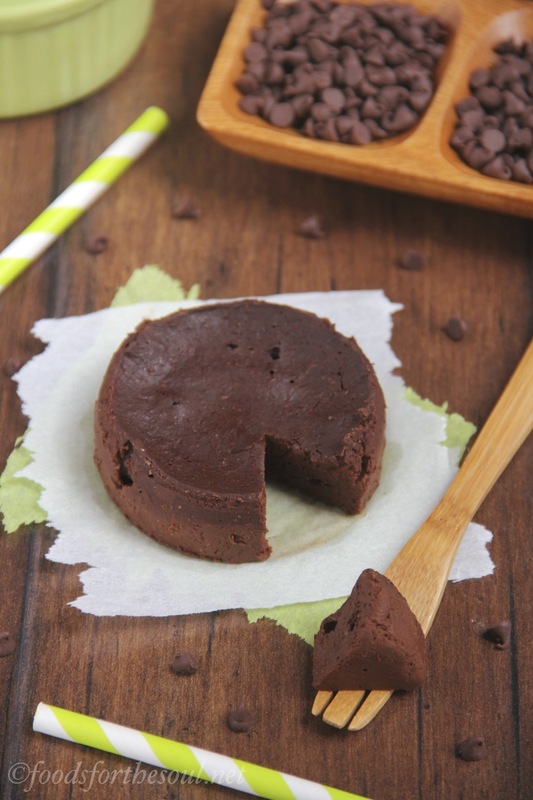 Unbelievably chocolaty & irresistibly fudgy. A year ago while still at my previous job, I drove home from work with intense stress-induced chocolate cravings at least one night each week. Those persistent desires demanded more than a kid-sized Starbucks hot chocolate or a small square of Hershey’s Special Dark. They required a thick slice of decadent chocolate cake, usually supplied by the Safeway bakery a quarter-mile away from our house. Once inside, I sped straight to the back of the store, bypassing the front of their cake display filled with cupcakes and cheesecakes to scour the back. I skipped past their square two-layer pieces; those tasted too milky and had slightly runny frosting. Instead, I scrutinized every single triangular slice of their tall six-layer dark chocolate cake, always selecting the biggest one practically bursting out of the seams of its plastic package. I slowly savored two layers each night, nibbling at mouse-sized bites to make my chocolate therapy last as long as possible. By the time I swallowed the final morsel on the third day, I felt the stress melt away like the fudgy frosting on my tongue, and it motivated me to tackle another round of papers at work. Right as the episode ended 45 minutes later, he pulled open the front door. Without telling me, he had driven to the opposite side of town to search the other Safeway’s cake selection, and after finding no six-layer slices, he then bravely stopped by the newly opened Whole Foods downtown. He jockeyed his way through the indecisive college kids wandering the store, patiently standing in the bakery line to order two gourmet chocolate cupcakes. After offering him a few bites of each, I finished both cupcakes that night. 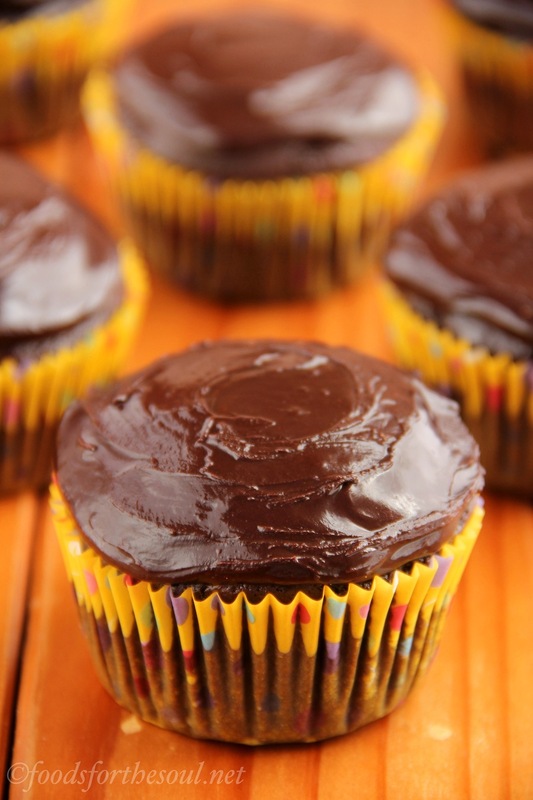 Two chocolate cupcakes = two layers of chocolate cake, right? Once I left that job to blog full-time, fewer days demand a stress-relief slice of six-layer chocolate cake. On the rare occasion my chocolate cravings spiral out of control, I usually bake a pan of my favorite fudgy chocolate brownies instead. And yet… That’s almost just as dangerous. With no self-control around chocolate, I’m always tempted to eat all 16 by myself, especially the four fudgiest ones in the center! Because those brownies also require lots of cooling time, I decided to create a quicker recipe—preferably ready in under 10 minutes—with only one serving, making it impossible for me to overeat. And after a weekend of experimenting and rounds of testing, I finally perfected the dessert. 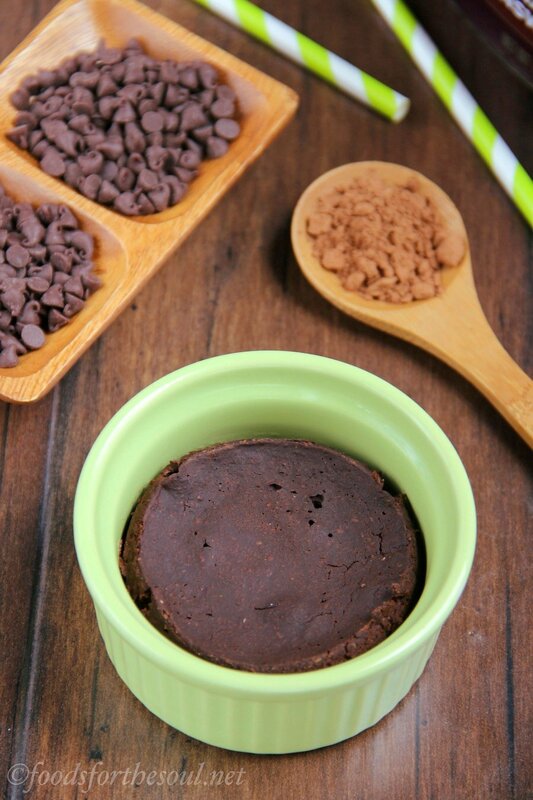 This Skinny Single-Serving Microwave Brownie packs a huge chocolate punch, full of incredible fudginess and irresistible decadence. Its smooth texture simply melted in my mouth, completely satisfying my dark chocolate cravings. Despite its deeply rich flavor, it’s still a low-fat and low-calorie treat! 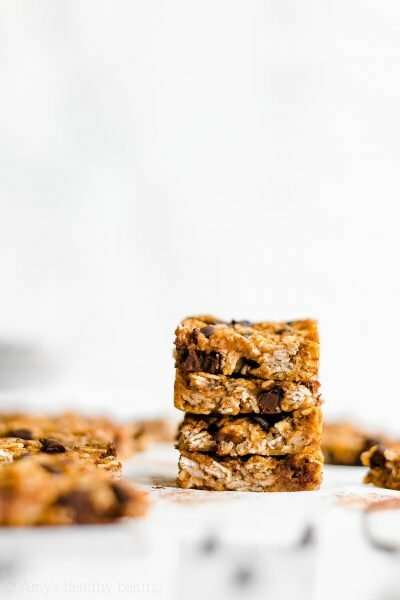 You only need 5 ingredients (plus water) to make this easy dessert, and I guarantee you store most of them in your pantry right now! Cocoa powder, whole wheat flour, yogurt, agave, and vanilla. 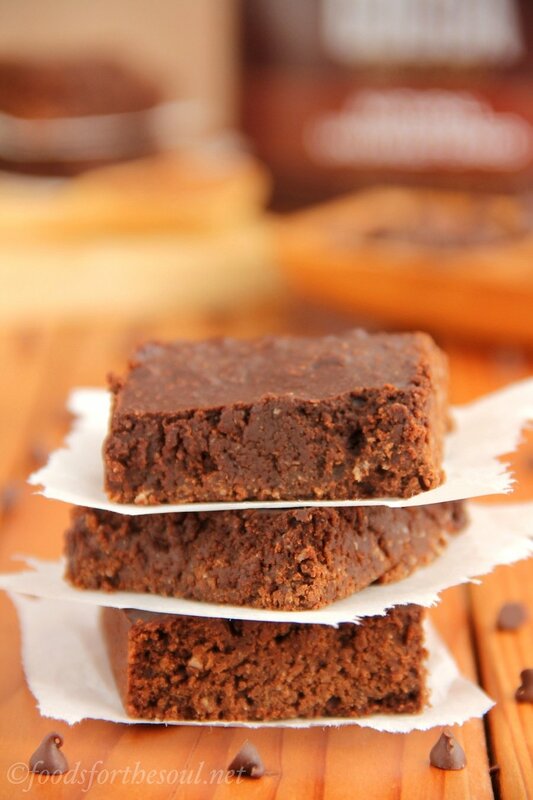 Containing only these few wholesome healthy ingredients, this skinny brownie is clean-eating friendly and completely guilt-free. 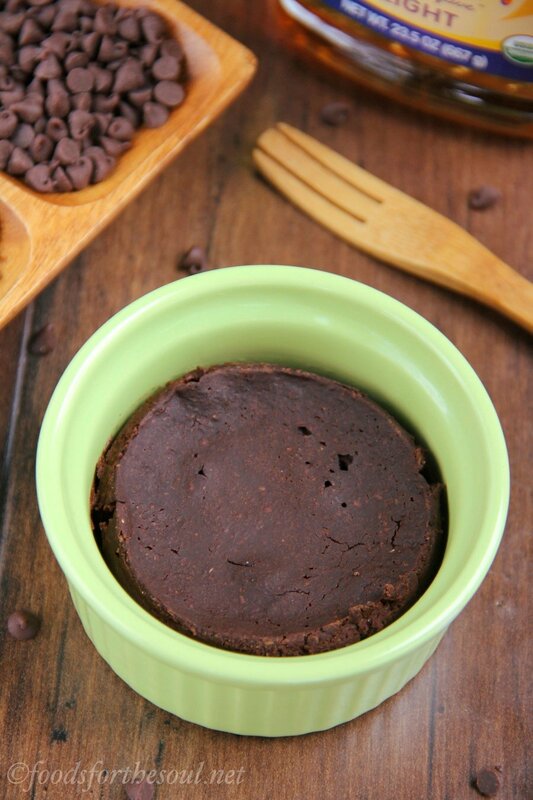 Most microwave mug cake or mug brownie recipes call for both a tablespoon of butter and an egg yolk. That’s 157 calories and 16 grams of fat alone, not including the other ingredients—and it’s supposed to be a single serving! My recipe requires neither, but it’s still just as rich and fudgy because I added a lot more liquid ingredients than dry. More liquid ingredients = moister and fudgier brownies. 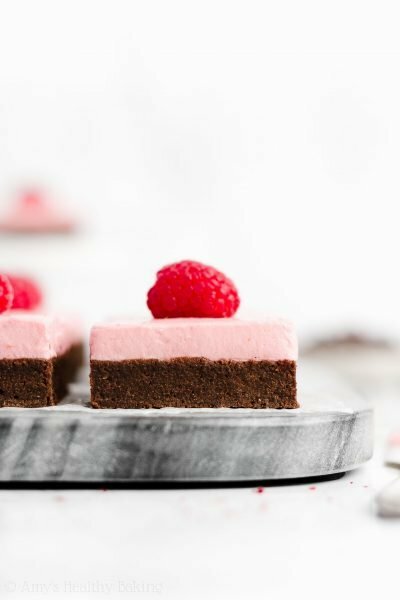 Just like my ultimate healthy fudgy cocoa brownies, this brownie solely depends on cocoa powder for its decadent chocolate flavor. Other recipes require melting chocolate bars or chips, but not this one! 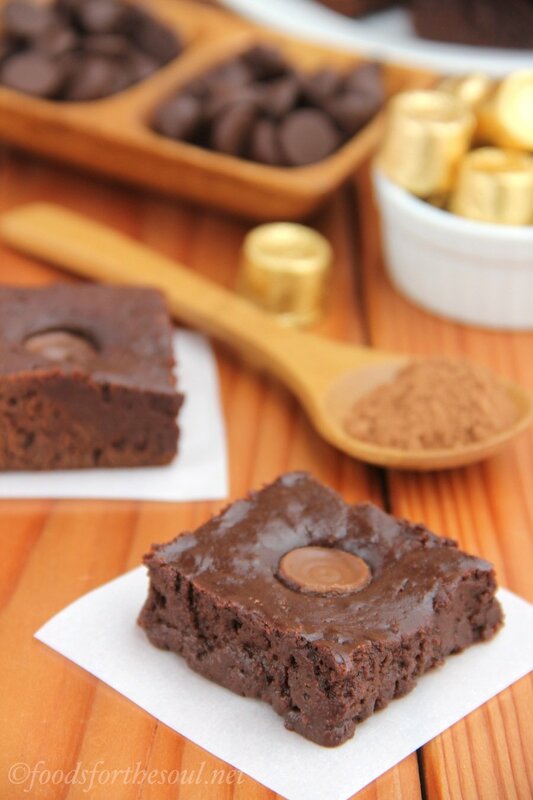 That demands too much time for a quick brownie fix, and it also creates another dish to wash—no thank you! 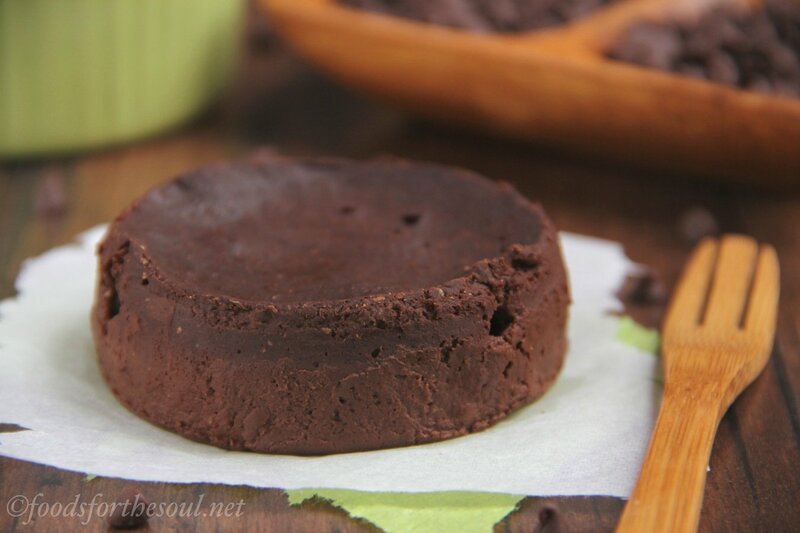 But because I added more cocoa powder than flour in this skinny treat, the intense chocolate flavor really shines. Similar to my other brownie recipes, you’ll mix the dry ingredients in one bowl, the wet ingredients in another, and combine them together before pouring into a ramekin. I do not advise mixing everything in the ramekin. 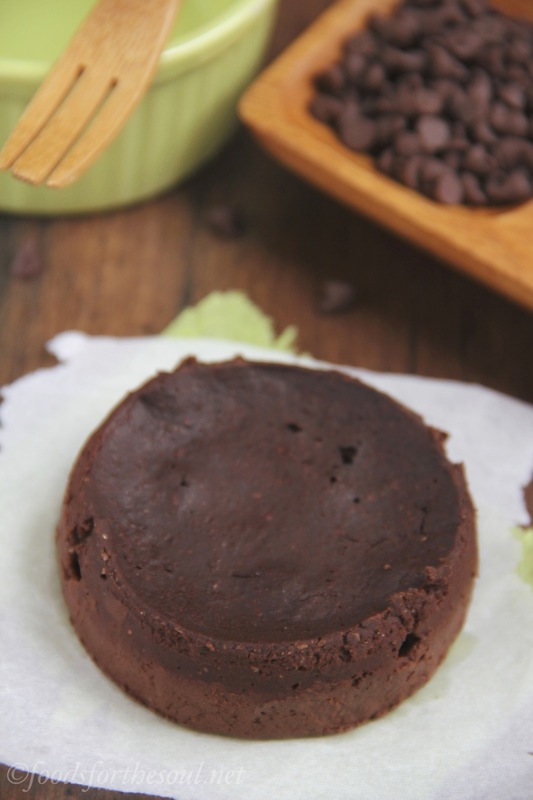 Because this recipe contains very little fat, you’ll need to lightly mist the ramekin with nonstick cooking spray before adding in the batter to prevent the brownie from sticking. To create extra fudgy brownies, I always bake them low and slow in the oven, so I applied a similar technique to the microwave. 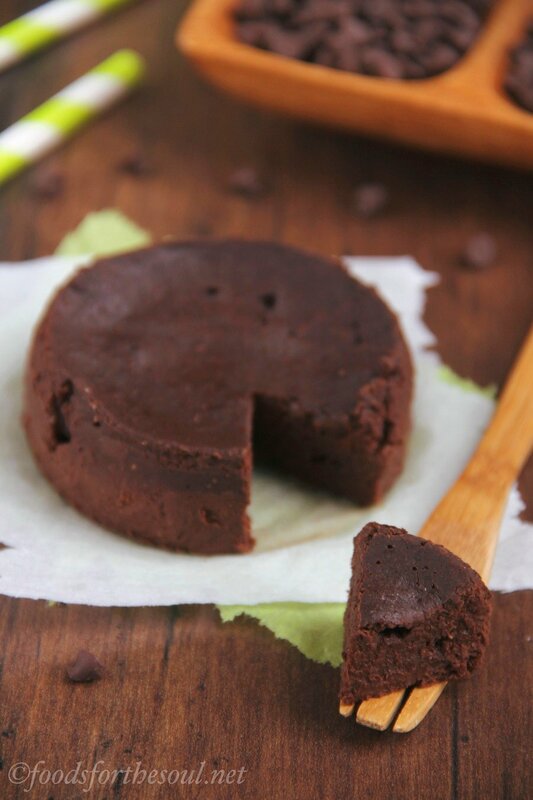 Cook the brownie batter at 40% power (low) for 2 minutes 15 seconds (slow-ish) to ensure it stays dense and moist. Do not microwave it on HIGH like with other mug recipes! The edges will overcook while the center stays raw. Look at that gorgeous fudginess! 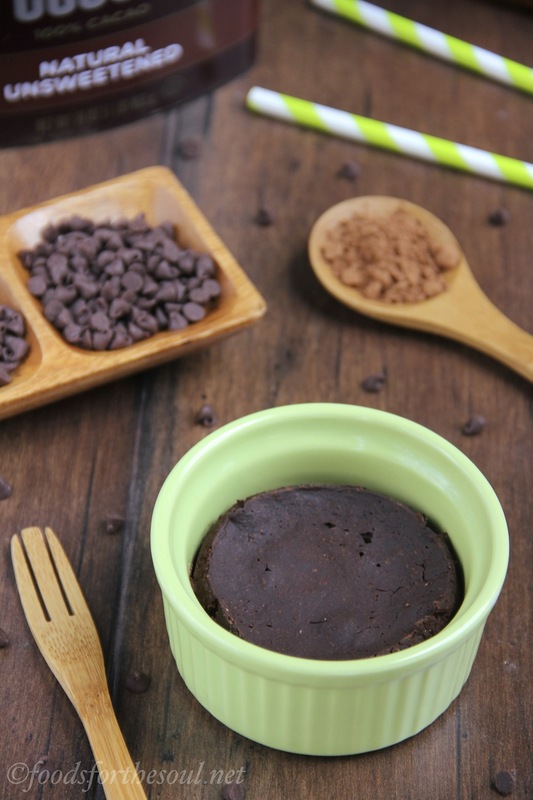 After only 5 minutes of measuring, 2+ minutes of cooking, and 3 minutes of cooling, you can savor a decadent Skinny Single-Serving Microwave Brownie too. 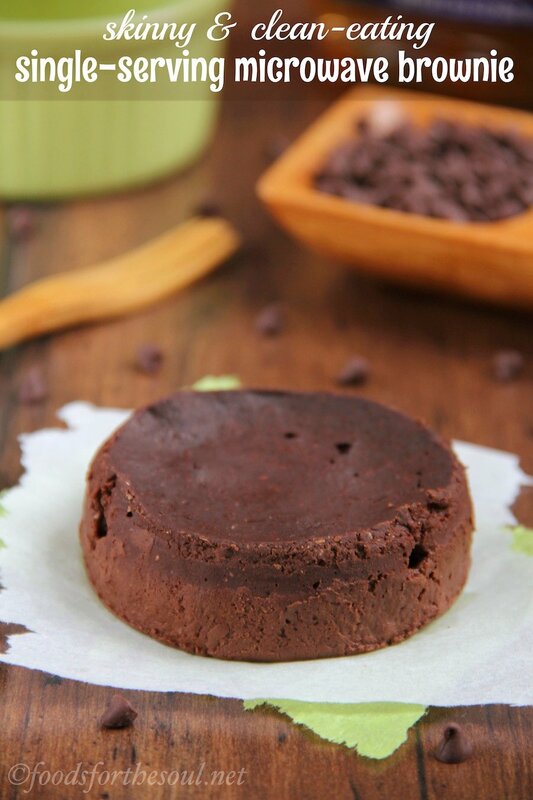 That’s just 10 minutes to make a sinfully rich, secretly healthy dessert! 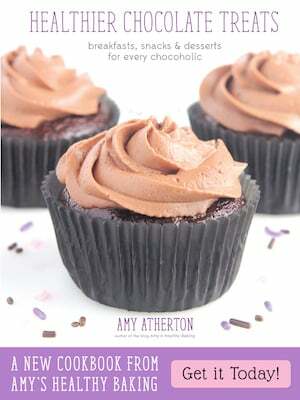 And when you do, remember to snap a picture and share it with me on Instagram using #amyshealthybaking. I’d love to see your brownie! This brownie is so dark and fudgy! 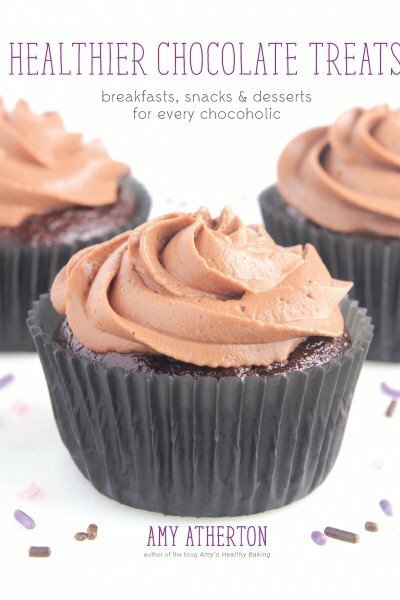 It’ll satisfy any decadent dark chocolate cravings in a heartbeat. If preparing more than one, microwave the ramekins individually. Lightly coat a 1-cup ramekin with nonstick cooking spray. Set aside. In a small bowl, whisk together the cocoa and flour. 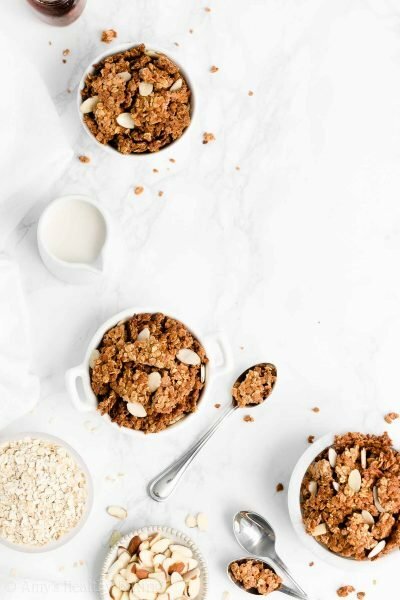 In a separate bowl, stir together the water, yogurt, agave, and vanilla. Add the dry ingredients into the wet, stirring just until incorporated. Pour the batter into the prepared ramekin, gently shaking back and forth until the top is smooth. Microwave at 40% POWER for 2 minutes and 15 seconds (2:15). Let the brownie sit for at least 3 minutes before eating. Notes: White whole wheat flour, whole wheat pastry flour, or all-purpose flour may be substituted for the whole wheat flour. Regular or non-dairy yogurt may be substituted for the Greek yogurt. Pure maple syrup or honey may be substituted for the agave. Although the brownie may not appear to be full cooked, it will continue to bake through while it sits for the final 3 minutes. Even so, there are no eggs in this recipe, so there’s no salmonella to worry about! Alternative baking method: Bake in a conventional oven at 300°F for about 10 minutes. The center should still look slightly glossy and underdone, but it will continue to cook through as it cools. Thanks for the Recipe, Would love to know what is the temperature to bake it in the Oven??? I really appreciate your interest in my recipe Shiloh! I’ve actually covered that already in the Notes section underneath the Instructions. It can be easy to miss! 🙂 I can’t wait to hear what you think of this brownie! 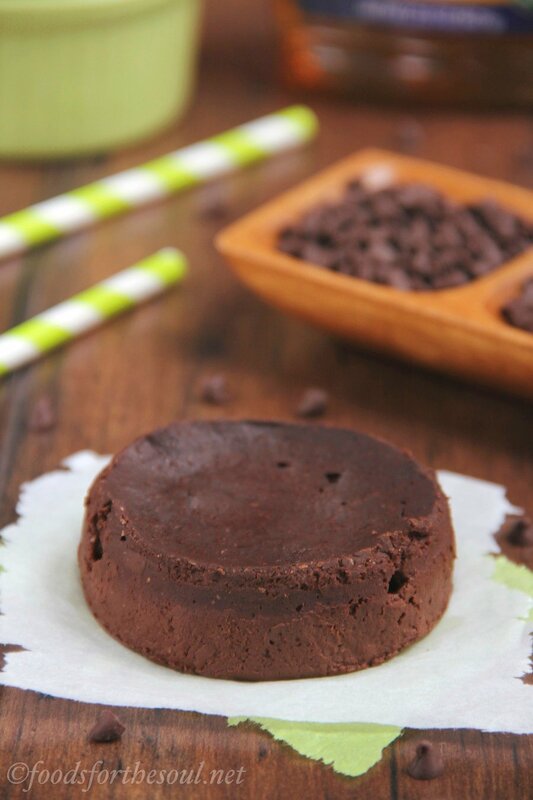 I recently came across your page and cant wait to try out your recipes..specifically the single serving clean chocolate mug cake and the skinny single serving microwave brownie. In both recipes, i came across pure maple syrup/ agave as ingredients. I live in India, and these ingredients are not that easy to find..could you please suggest some healthy alternatives to these? I see you mention honey as one…what measure of honey should i use, and will it alter the taset drastically? I really appreciate your interest in my recipes Sneha! In my recipes, you can substitute the same amount of honey for either agave or maple syrup. 🙂 I can’t wait to hear what you think of both single-serving recipes! I have tried your mug cake and this brownie recipe and I absolutely love both! I am not a naturally good baker, so I did have to try a few times to get each one right, but it was well worth it! 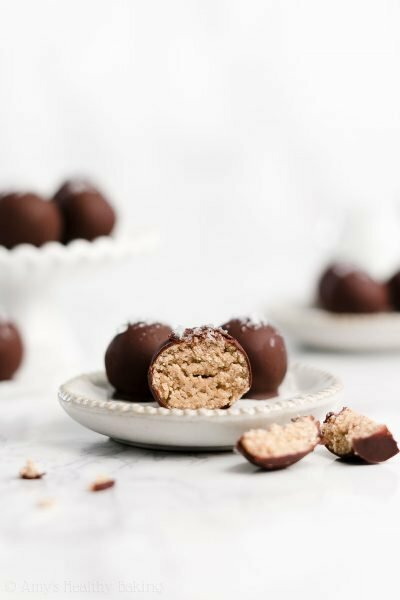 When I binge, I binge on chocolate, so these recipes are perfect for curbing my cravings while also keeping me from feeling guilty. I also love that once I dirty all the measuring spoons and bowls, it takes a lot of effort to make another one so I’m more likely to stick to one serving. Thanks for the great recipes! I’m so glad you loved both single-serving recipes Kaitlyn! That means a lot to me! 🙂 I’m the same way… Chocolate (in just about any form) is one of my biggest weaknesses! 😉 I can’t wait to hear what other recipes of mine you decide to try! I just tried to make the brownie but it took a lot longer in my microwave than the timings on your recipe. What power is your microwave? Mine is quite an old one. It was delicious nevertheless. Thanks for sharing! I tried this recipe out in the oven and it took nearly double the time to cook and came out tasting terribly bitter and sour. Now I normally prefer my chocolate to be very dark but this was just awful. I made sure I measured correctly and no ingredients were out of date. Any suggestions on how to fix this? I really appreciate your interest in my recipe, Carly! That sounds really disappointing. 🙁 What’s the wattage of your microwave? Was the texture okay? 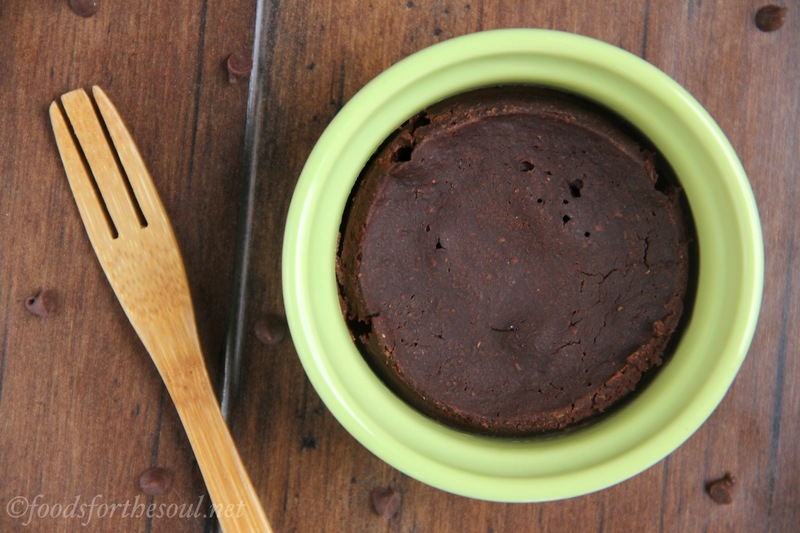 You can easily substitute additional agave for some or all of the water for a sweeter brownie! It was just a little too bitter for me but next time I will add more maple syrup but I love your recipes! And it had a good texture. That means so much to me that you’re enjoying my recipes Ariella! Thank you! 🙂 If you replace some (or all!) of the water with an equal amount of maple syrup, that will make your brownie sweeter while still maintaining its texture! Ok thank you! I will try that ?.